People often ask me how I can get so much information about how a person is feeling just from watching them hang out with a horse. As part of a class I’ve been taking this spring, I’ve been recording some of my own interactions with my little herd, and thought I’d share a couple of videos with you. I think you’ll begin to understand. First, watch this clip of me and Galahad back in April. Watch the interaction. Watch Galahad’s approach, his eyes, his expressions, his movements. Now, watch this second clip, taken a couple of days ago. Same horse, same human. Look for the same kinds of information, and compare it with what you noticed in the first video. In both cases, I FELT perfectly calm. But in the recent one, my conscious perception didn’t reflect what was really going on. I wasn’t aware of my upset, but Galahad was. That evening, I edited the video and noticed his body language, which I had not noticed in the moment. I realized that in fact I had been feeling absolutely frantic that day. I had a deadline to meet, and needed to do the video work. There was a storm coming, so I had to get it done before the weather got bad. And there were about a million tasks that needed doing at the same time as I was sitting down with my horse. None of this was conscious at the time. I enjoyed my time with him, and thought that my mood and energy were just fine. 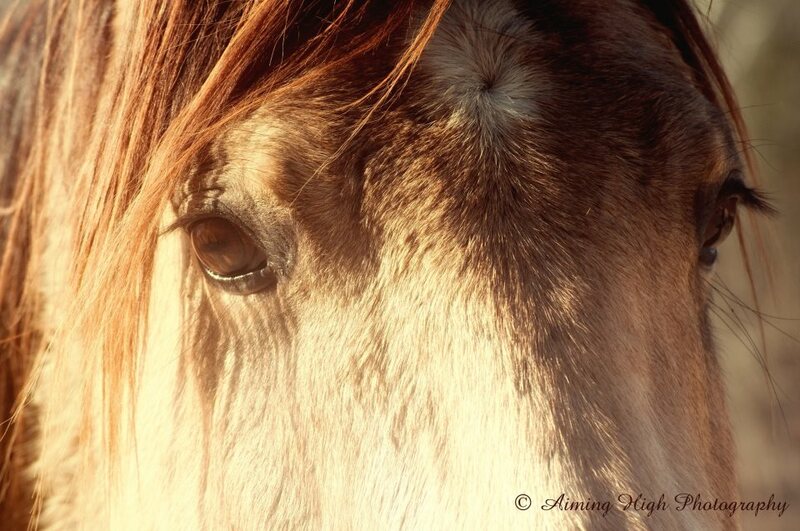 Horses are both prey animals and herd animals. Both of those conditions require them to be exquisitely tuned to body language and energy. This is one of the things that makes them so very helpful in my consulting work. They will tell me, through their own body language, exactly what’s going on with the person they’re working with. They never lie, and they never hide their own feelings. It takes a sharp eye and lots of experience to be able to use the information the horses provide. My training in psychology allows me to help my clients become aware of their emotions and their energy. Awareness must always come first, before you can take action to change something. The horses know us better than we know ourselves. I’m grateful to Galahad for pointing out how agitated I was that afternoon. Now I can work to become more aware of what’s really going on!